Rose Christine Tripodi explores the material, transformative and therapeutic possibilities of artmaking. With a contemplative and process-driven approach, she has hand-stitched and reshaped pieces of pre-loved linen into a sculpture resembling a protective cocoon. 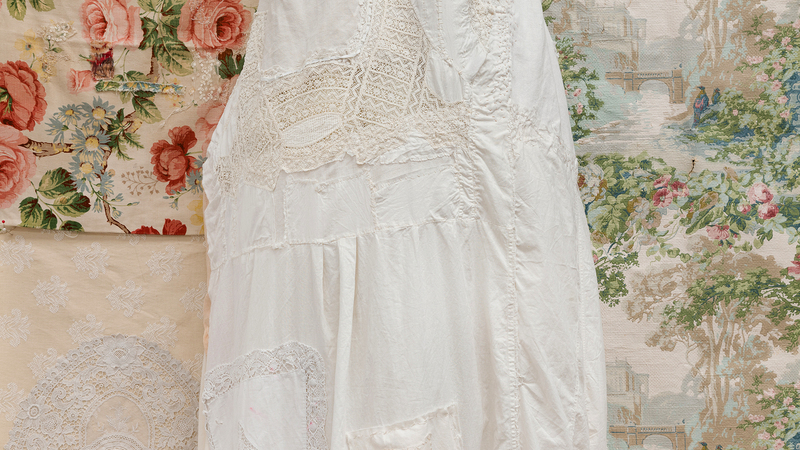 Rose relates the creative process of alteration, restoration and stitching to a sense of atonement, whereby the handstitched marks autobiographically reflect the process of transformation. Rose understands the pre-existing history of the old fabrics as carriers of knowledge, full of potential to convey stories of fragility, self-growth and renewal. Based in Sydney, Rose is a multi-disciplinary artist whose practice includes painting, sculpture and video forms.